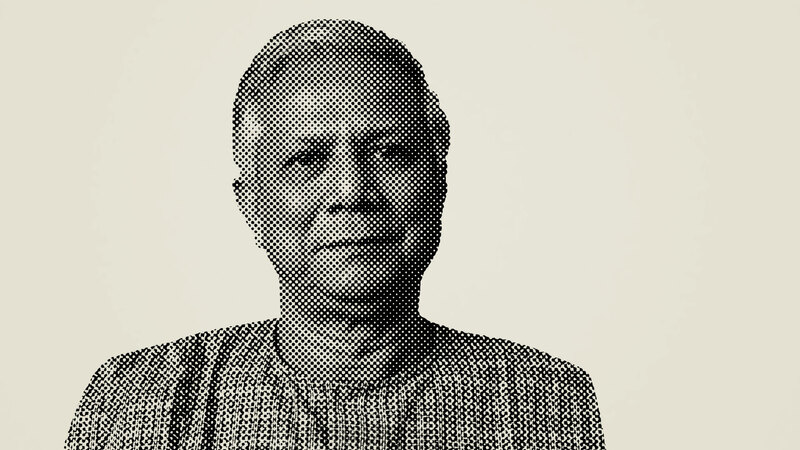 Muhammad Yunus, as head of the Economics Department at Bangladesh’s Chittagong University, began a movement in the 1970s that has overturned many conventional ideas about banking. His work has earned him dozens of awards from around the world and has helped millions of Bangladeshi families break away from poverty’s grip. Professor Yunus, who earned his doctorate at Vanderbilt Universityin Nashville, recently discussed his remarkable success story with Vision contributor David F. Lloyd. DL What was your vision for starting what became Grameen Bank? MY Basically I was trying to see if I could help the poor people solve their own problems. It started in a village next to the university campus where I was teaching in the mid-’70s. When I found that for a very small amount of money they had to go to the moneylender, I took a student of mine and went around the village and made a list of people who were suffering like this. When the list was complete, there were 42 names on it, and the total amount of money owed to moneylenders was $27. That was a shock for me—the amount was so tiny. And the punishment inflicted on them by the moneylenders was so high that I said, “I can solve this problem; I can give them the $27. They don’t have to go to the moneylender, and they will be free.” So that is exactly what I did, and they were excited about it. Then I thought about how I might be able to continue to provide them with the money they needed. Maybe I should connect them with the bank located on the campus and the bank would give them money, because that’s their business. So I went to the bank, but they refused. They said, “We cannot lend money to poor people, because they have no collateral, no security. Without collateral, the bank cannot work.” So I pushed into the second phase of the work: I offered myself as a guarantor. It all worked, step by step. Each new solution created a new problem. I wanted to solve that new problem, and it took me to a further stage, and so on. DL Who are Grameen’s customers? MY Grameen’s customers are extremely poor people—the poorest. We see it as something of a reversal of the conventional banking system, which is based on the principle that the more you have, the more you can get. So they are running after people who have the most money, in the meantime ignoring people who have the least money or no money at all. Our principle is that the less money you have, the higher priority you are given: people without any jobs, without any land, without any income. And then we focus on women. Today Grameen Bank has 6.4 million borrowers, and 96 percent of them are women. Again, this is a reversal of the conventional banking system, because conventional banks focus on men. Conventional banks are owned by the rich; our bank is owned by the poor. The borrowers own the bank, so we don’t need any security, any guarantee, any legal instruments; we don’t need the experience of the borrowers. Each principle is a sharp rebuttal to the banking system and what it is all about. DL Why did you make it your policy to lend mainly to women? MY The banking system not only rejects poor people, it rejects women—rich, poor, middle income, it doesn’t matter—as a class they are rejected. Not even 1 percent of their borrowers are women. So I decided that 50 percent of the borrowers in my program would be women. That was a very difficult task, because women themselves said, “No, don’t give it to me; give it to my husband. I don’t know anything about money.” So they were running away from us. It took us six years to build even a 50:50 ratio. Then we saw, many times, that money that went to women brought so much more benefit to the family than the same amount going to the family through the man. So we said, “Why are we giving it to men then? Why don’t we give money to women only?” So we changed our policy. Ever since, we have given priority to women, until today they amount to 96 percent of our customers. DL What cultural impact has this had in Bangladesh? MY Tremendous. If someone visited Bangladesh 20 years ago and came back today, one thing that would strike them is what a change has happened for the women. The empowerment of women is tremendous all over Bangladesh. As a result, many socially positive things have happened. For instance, mortality in mothers has declined very sharply, child mortality has also declined, and the birth rate has declined to almost half of what it was 20 years ago. If you look at the social development index—the human development index—you will see that Bangladesh is one of the top countries. In 2005, China was on top, the second country was Cape Verde, and the third was Bangladesh. And it’s happening because female empowerment took place in Bangladesh in a massive way through microcredit and other programs. And to make the story complete, we are now lending money to beggars who have never done anything in business. We say to them as they are going door-to-door begging, “Would you care to carry some merchandise with you?” They are going there anyway, so they carry some sweets, some toys. They sell them, make money, and don’t have to beg any more. Now we have 70,000 beggars in our program, and the typical loan is about $12. So with $12 one can be in business. DL Grameen specializes in microcredit, or microfinance. Could you explain those terms? MY Well, these are the terms used by academicians and professional people. What we do in Grameen Bank is lend money, and the money we give out comes from depositors. Also, Grameen borrowers put their savings into the bank. Each year we lend out hundreds of millions of dollars, all from deposits and the bank’s own money. About 75 percent of the money is out on loan, and about 25 percent remains on deposit. It’s all entirely generated inside the bank; we don’t borrow from anyone. When we set up a new branch—we have over 2,000 now—the instruction to the new branch manager is, “You have to mobilize your own resources and take deposits, and then lend the money to the local poor. You don’t get any money from Head Office or from any other branch. You will be on your own. And within the first year you should be making a profit.” We also offer insurance services. If a borrower dies, her loan is written off through an insurance program, and there are health insurances in some branches. DL In your book Banker to the Poor, you mention that international aid actually hinders efforts to promote hard work, thrift and self-reliance. You make a similar point about handing out money at the personal level. Could you expand on that? MYCharity is what governments and religions have been doing. Every government came out with a charity program, calling them welfare programs. This is not a solution to poverty, because it damages the initiative of human beings. Putting food and other things in front of a person and saying “Stay alive, stay healthy; we are taking care of you” is like creating a human zoo. In the zoo you feed the animals, you take care of them, you heal them when they are sick—but that’s not their normal life. Human life is about creativity. All human beings are packed with all the creativity that any human being can have. All you need to do is to unpack that—to get the person to unwrap himself or herself so they can move forward. Charity takes away that opportunity. I accept charity in special circumstances. When the tsunami happened, I accepted charity, but in everyday life this is not acceptable. And charity offered in special cases should have a kind of expiry date. It cannot be a permanent solution. Donor money comes with two moods behind it. One is a charity mood: “We are a rich country. These guys are suffering. They are without food. We should give them something.” But along the way, the business mood came in: “I’ll give you the money, but you have to buy my product, or hire my consultants, or take my idea.” So you transform your charity mood into a business mood, and it gradually becomes a self-interest mood—that I will give you more money and take it back for my own business’ sake. We have examined donor contribution in Bangladesh over the years, and we see that 75 percent of it went back to the donor country in terms of payments for consultancy, for goods and services provided, for contracts made with the donor countries, and so on. Only 25 percent came to Bangladesh, and part of that went to local consultants, contractors and experts. So in the name of helping the poor people, you have actually divided things among yourselves—the privileged people. That is what I am objecting to. Yes, donor money and international responsibility are very important, but it is the quality that is important rather than the quantity. Quantity can deceive, because you are taking back. It is a kind of trick with numbers. Quality is about helping the poor people in that country—building up the economy so they can take care of themselves rather than remain dependent. DL What is the bank’s approach to ensuring that loans are repaid, and what success have you had? MY One reason Grameen Bank became known globally is that it founded a system where loans get paid back even without collateral. Our repayment rate is 99 percent. Our system encourages people to pay it back on their own, not because someone is pushing them, like what the moneylenders do—beating up people to get the money back. Through the system we have developed, like weekly payments—a tiny amount you can always pay—your big loan becomes smaller, until you have ultimately paid it back. And whatever you bought remains yours, so you start getting the full benefit. And that is an encouragement. Also, the success of your business gets you excited. You never earned money before, and now you are earning money, so maybe you want to keep the door open so you can take more money and move forward. And that is what they do. Our basic principle is that people should not come to the bank; the bank should go to the people. We do “doorstep banking” so that people don’t have to leave their homes. And we make loans for income-generating activities, so that also makes it easy for them to pay back. All this together proves that you don’t need collateral; banking can be done on trust. DL What does the word Grameen signify? DL So it means “village bank”? DL Your banking is conducted by your employees going to often remote villages. But the bank is very large now. How does this approach continue to work today? MY We just create more and more branches and reach out to more and more places. We have over 20,000 staff going out to practically all the villages of Bangladesh, to reach out to all 6.4 million borrowers, and to do business on their doorstep every week. We carry the cash—whatever we have collected in the village—back to our office and put it in our vault or in the deposit of another bank so they can take care of our money. We have not changed in that. The only big change is that now everything is computerized. All accounts, all the money, the management information system—everything is in the computer. DL Do any of your efforts focus directly on children? MY We have a student loan program that has been running for about 5 years now, because a part of our mission is to create a second generation. We want to make sure 100 percent of the children of these families are in school, and that they go into higher education, so we give scholarships and student loans. All the children who are in higher education get student loans so they can concentrate on their education—more than eleven thousand students currently. Many of them are in medical schools, engineering schools and all kinds of professional schools. Now we have a new generation who are doctors, engineers, professional people, professors, researchers, business people, entrepreneurs running new, modern businesses, and so on. And we encourage them to repeat this pledge to themselves each morning: “I shall never ask for any job from anybody; I shall create jobs for others.” So this is a new kind of orientation. They come up with the ideas, and we will be there for them and provide them with the finances. DL There have been various studies on the “Grameen effect.” What are the main findings? MY The common things are that income is rising, that people are coming out of poverty, that children are in schools; that there is better health, better nutrition. One thing that surprised me was a study on family planning. They saw that the adoption of family-planning practices within Grameen families was twice as high as the national average. That was something very remarkable, because we were not expecting such things: we are not a family-planning organization. Another study showed that nearly 50 percent of the borrowers who were with Grameen Bank more than 10 years had moved out of poverty. About 25 percent didn’t get out of poverty but came close. The remaining 25 percent or so have not changed. The study showed that usually these are families without any males. The women took the loan, just did the same thing over and over again, never expanded their businesses, but only took care of themselves rather than move forward. Also, because there is a sick person in some families, they are stuck: whatever money a woman or the family is making goes into dealing with the health problem. So there are a lot of things the loans couldn’t address. But these are issues we have to address in a different way. DL How much did the bank extend in loans last year? MY We lent out over a half billion dollars last year—loans averaging about $130. This year we will lend about $750 million. Our borrowers are increasing, and our loan size is increasing. DL At the 1997 world Microcredit Summit in Washington, you proposed a very ambitious target: for the various organizations represented at the summit to have reached 100 million people with microcredit by 2005. Did you achieve your goal? MY Nobody took it seriously in 1997, particularly the press. They said I was crazy. Have we reached that goal? We have come very close—it’s over 90 million, but we have to await exact figures. DL You feel strongly about making technology—for example telephone and information technology—available to the poor. How do you achieve that? MY We created a company called Grameen Phone, and in 1997 we brought mobile phones to the villages of Bangladesh, which have never had telephones. Today it is the largest mobile phone company in the country. Our idea was to put this phone in the hands of a poor woman. Grameen Bank will give her a loan, and she will buy the mobile phone and start selling telephone service. People who need to make a call come to her, and she makes money. It immediately became a highly successful business. Now there are more than 200,000 “telephone ladies” all over Bangladesh who have a good business running just this service. An interesting thing that came out of this telephone business is that 70 percent of Bangladesh’s population of 145 million doesn’t have access to electricity. So how do you take a phone into a village that doesn’t have electricity? The answer is that many of our cell phones are powered by solar panels. We created another new company called Grameen Shakti, which provides electricity from solar energy, and now we are expanding to other things like bio-gas, which brings energy to homes. You have a bio-gas plant, and that gives gas for cooking. You don’t have to chop wood for cooking anymore. We have families who are promoting that. The gas can also be used for lighting, and the slurry from the bio-gas plant is a good organic fertilizer that can be sold. We are also trying to bring medical facilities into the rural areas though another company, Grameen Kalyan, or Well-Being. DL What shifts in thinking are yet required to bring about real change at the government level? MY My basic premise from the start was that poverty is not created by the poor people; it is created by policies and institutions. And the primary responsibility for fixing policies and institutions is on the government. Why doesn’t the government pass a law to create microcredit banks like Grameen Bank if existing conventional banks cannot lend money to poor people? DL And at the individual level? MY Business should not be only for maximizing profit. Business could be for doing good to people. You make a choice whether to make money for yourself or to do good to other people. Or you can do both: you can invest in profit-maximizing enterprises and make money so that your life is secure, and at the same time invest in social business enterprises that are dedicated to doing good with no intention of making money through it; money stays with the company for expansion and innovation. These are non-loss, non-dividend companies with a social goal. DL How would you sum up the best approach to fighting poverty? MY Two things: First, to believe that there is no reason to have poverty in the world. We can create a poverty-free world. If you don’t imagine, you never get it. Imagination comes first. We get where we want to go. If we don’t define where we want to go, we’ll never get there. Second, each individual on the planet is very important. He or she has all the power and capacity in the world. So if I believe that I can impact on other people’s lives, I can. And social business enterprises can be very helpful in doing that. I can look for the companies that are doing good for people, in terms of health, income, eliminating poverty or legal problems, or providing needed drugs; then I can invest in these companies, because I know this is an investment—this is not charity. I’m not giving away my money, I’m buying ownership in that company so it can do more work for the people. This interview has been edited for length and clarity. It first appeared in the Summer 2006 issue; further revised for Spring 2008.